West Virginia Department of Environmental Protection’s AWQM sampling stations. 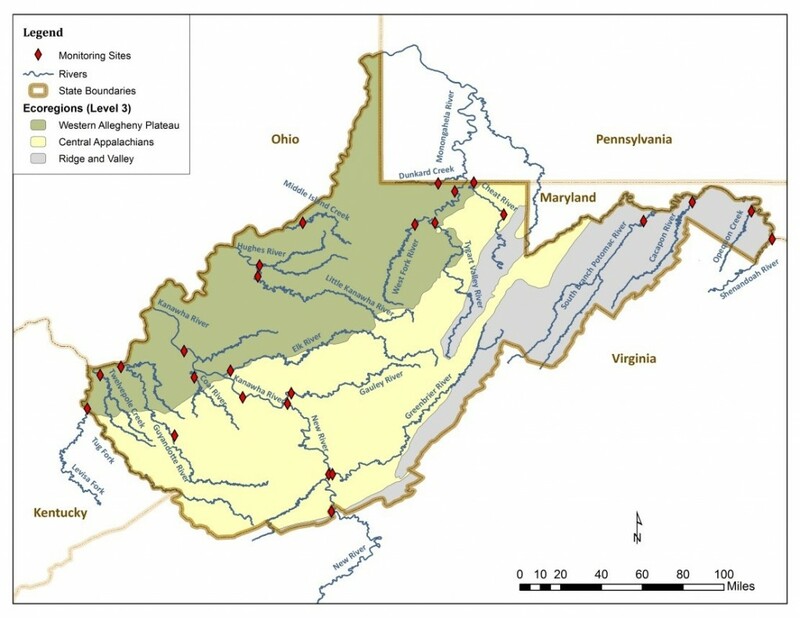 In this 2015 study, a long-term (43-year) trend analyses were performed on water quality data from 26 stations in West Virginia’s Ambient Water Quality Monitoring (AWQM) Network. Much of the news is good. Concentrations of total phosphorus, total suspended solids and several metals (aluminum, iron, manganese, lead) are decreasing, and areas impacted by acid rain are recovering. Mining, agriculture and other practices still impact water quality conditions in some areas of West Virginia. The report, published in 2015, and its five appendices are available for download here. This project inspired a future study on Mid-Atlantic Water Quality Trends.